Abstract: Seismic high-resolution Chirp profiles from the well-documented submerged Stone Age settlement Atlit-Yam, located off Israel’s Carmel coast, display systematic distur¬bances within the water column not related to sea-floor cavitation, vegetation, fish shoals, gas or salinity/temperature differences, where flint debitage from the Stone Age site had been verified archaeologically. A preliminary series of controlled experiments, using identical acquisition param-eters, strongly indicate that human-knapped flint debitage lying on the sea floor, or embedded within its sediments, produces similar significant responses in the water column. Flint pieces cracked naturally by thermal or geological pro¬cesses appear not to do so. Laboratory experiments, finite element modelling and controlled experiments conducted in open water on the response to broad-spectrum acoustic signals point to an excited resonance response within human-knapped flint even for sediment embedded debitage, with acoustic signals within the 2–20 kHz interval. The distur¬bances observed in the water column on the seismic pro¬files recorded at Atlit-Yam are, therefore, based on these results, interpreted as resonance from human-knapped flint debitage covered by up to 1.5 m of sand. Such a principle, if substantiated by further research, should facilitate efficient and precise mapping of submerged Stone Age sites. 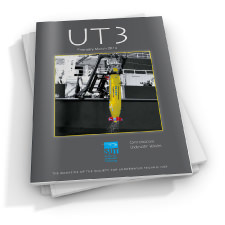 Abstract: The functioning of diving decompression computers is based on predictive models that are made operational through algorithms. 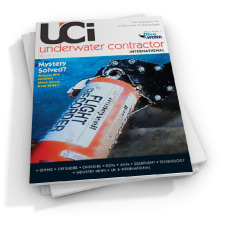 Relatively simple models can be constructed to manage diving decompression obligations with a high degree of confidence, as long as the dive profiles fall within the model’s ‘range of applicability’. The same degree of confidence cannot be assumed where dive profiles are outside of that range – for instance by diving deeper, or for longer or more frequently than what had been considered in the development of the model, or because of individual physiological particularities. A common method to deal with this is to increase the level of conservatism of the model by reducing inert gas load. Depending on the dive computer this is achieved by allowing the diver to set predefined ‘personal levels’ or through ‘gradient factors’, which is a more transparent method of obtaining a reduced inert gas load at the end of a dive. This paper outlines models and algorithms in general, and then discusses gradient factors in further detail. 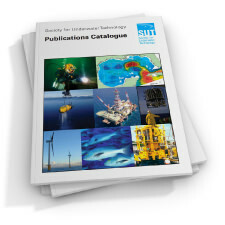 NOAA Diving Manual – Diving for Science and Technology, Sixth Edition. Exploring the Phoenician shipwreck off Xlendi bay, Gozo. 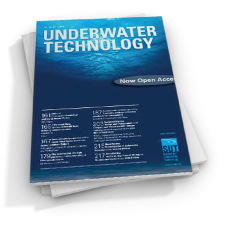 A report on methodologies used for the study of a deep-water site. Abstract: A shipwreck was discovered in deep-water during a systematic side-scan sonar survey conducted in 2007 by Malta’s heritage authorities and the University of Malta. Located off the coast of the island of Gozo, Malta, this site was the subject of a series of further in-depth studies that spanned over 10 years. Throughout this period, a number of different technologies were used to explore, record and study the site. 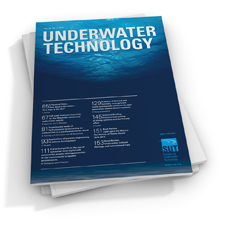 This paper provides an overall description, analysis and evaluation of the various technologies and methodologies used to investigate this site.